For the very ﬁrst time at least in the history of Indian Classical dance, a production is being staged that combines ﬁlm and Theatre, Shastram-­‐ the Journeys of Indian Classical dancers. This show was premiered in Bangalore in India and is now being staged in Perth, Western Australia. Perth is the hometown of the producer and director of this production Ghirija Jayarraj. 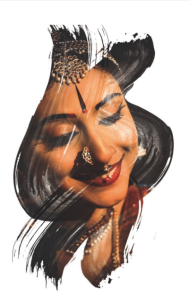 Although born in Sri Lanka, Ghirija grew up in Perth WA, doing her schooling here as well as her initial training in Indian classical dance in Perth and completing her ﬁlm studies at Curtin University of WA. Additionally, Ghirija was involved in the staging of many theatre productions in Perth, shadowing her parents Shaantha Jeyaraj and Muthiah Jeyaraj, from a very young age. Shastram – the journeys of Indian Classical dancers is a product of Shastram the company. The company is an initiative that Ghirija started in 2010 to promote Indian Classical dance to a mainstream and westernised audience. It has served 2 purposes for her personally, one is to share the knowledge within this ancient art form and also to reach out with her art to the wider Australian community and secondly it has been an exploration of her roots and exploration of the hybrid culture she has grown up in, here in Australia. Shastram engages in many artistic projects, which bridge the gap between this ancient art form and the wider community, through collaborations with artists from other mediums and popular western dance styles. Accordingly, Shastram -the journeys of Indian Classical dancers are a series of productions that have been created based on these ideas. The series has many chapters. The ﬁrst two chapters of the series are being staged on April 7th at Rixon Theatre in Penrhos College. Each chapter is a stand-­‐alone theatre production that consists of two short ﬁlms. The ﬁrst two chapters showcase four diﬀerent Indian classical dance styles and fuse elements of contemporary and Hip Hop. The productions travel through part 1 and part 2 of a ﬁctional story set in 2032, that reﬂects back on the journey behind Indian Classical Dance, its people, its society, its world and the evolution of the art form, from the 16th century till 2032. 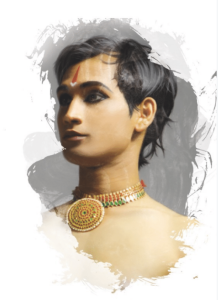 It unravels the stories of the main character Druv who is an Indian classical dancer that has reached great heights in the US and his friend Sam who was a strong inﬂuence on him and his art. Through them the audience is transported back time into the lives of Aabharana, a temple dancer in 16th century Orissa, Meenakshi a Mohiniattam dancer during the 1940s in Kerala Kalamandalam (a renowned dance school in India); Kala, an Australian Indian Bharathanatyam dancer who moves to India in the 1990s; And Satya, a modern day Kuchipudi dancer with a dream, set in 2016. 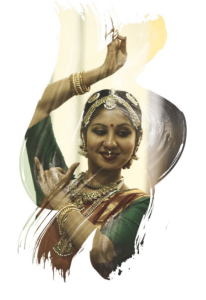 Each character represents phase that Indian Classical Dance, its society and its people have travelled through. David Rahman add the contemporary and Hip-­‐hop ﬂavours to the production. In addition to this, artists from Perth’s Indian Classical dance communities namely Narthanalaya School of Indian Classical Dance and Saraswathi Maha Vidhyalaya will be part of the live performance elements of the show. Along with them, the show’s director Ghirija Jayarraj who is also a Bharathanatyam dancer presents her dance style both on screen and stage. The ﬁlm element of this production was executed mainly in various states in India including Kerala, Karnataka, Orissa and Tamil Nadu. This was managed through Shastram’s partner Indian Production company Poorman Productions, led by ﬁlm maker Pradeep Kalipurayath. He also played the role of cinematographer and is one of the Executive producers for this production. Many up and coming actors from the Chennai based ﬁlm school Raging Bulls Acting Studio have acted in these ﬁlms. Additionally, the production was supported by Chennai based Bharathanatyam dance school Natyasankalp and Bangalore based Kuchipudi dance school, Shambhavi School of dance, Perth’s Rosalie Primary School and Midland Junction Arts Centre. This production’s major sponsor is Shaantha’s Cakes and the staging in Perth has been supported by Tamil Association of WA, Indian Association of WA, Tamil Osai 95.3FM, Thirai Flicks, Ausdance and many more. 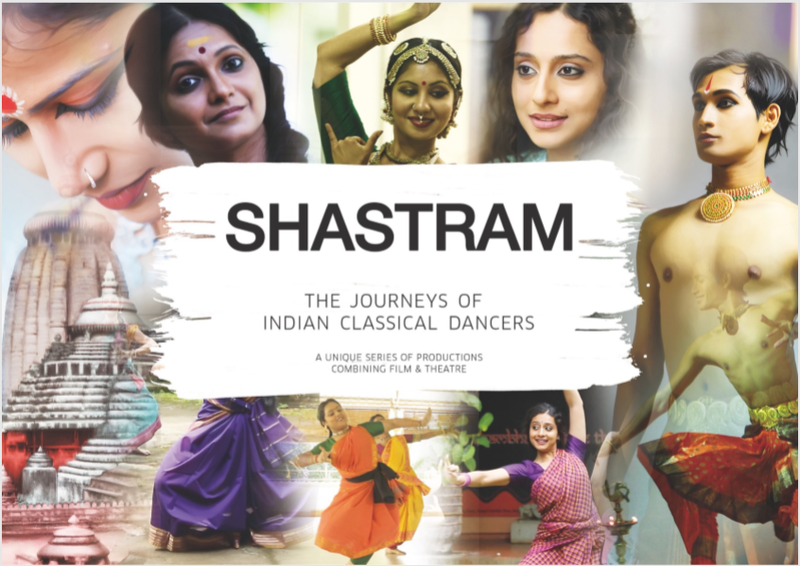 Ghirija’s mother Shaantha Jeyaraj who is a Theatre Producer, writer and TV personality in India is the Executive producer for Shastram – The Journeys of Indian Classical Dancers. Ghirija hopes to tour this production around Australia and collaborate with many more Australian based artists.